DESCRIPTION This Duplex has 4-plex configuration with great revenue property and 4 large suites is a rare find. All units are a mirror image of each other (main floor suites - 3 bedrooms + 1 Full Bath approx. 1075 square feet, lower (illegal) suites - 3 bedroom + 1 Full Bath approx. 1025 sq.ft.). Each unit has its own separate entrance, laundry, furnace/hot water tank, and parking in the back. Large windows in lower suites (bi-level construction) Desirable location close to downtown, Deerfoot Trail, schools, playgrounds, buses and shopping. Each side has its own separate title so you could have multiple investors, or live in one, rent the other or live up and rent down..the options are unlimited. Home for sale at 617 619 13 AV Ne Calgary, Alberts T2E 1C7. 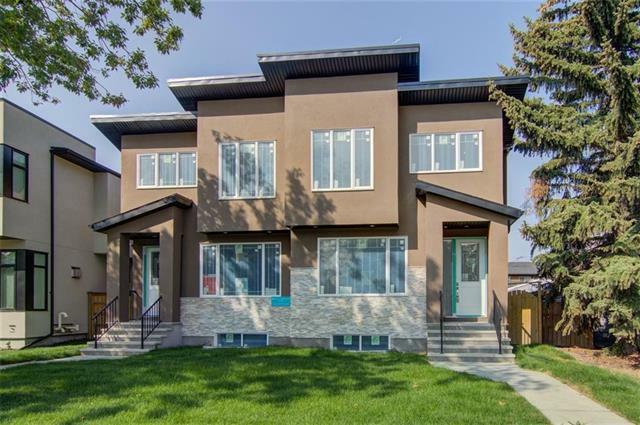 Description: The home at 617 619 13 AV Ne Calgary, Alberta T2E 1C7 with the MLS® Number C4215125 is currently listed at $829,900.